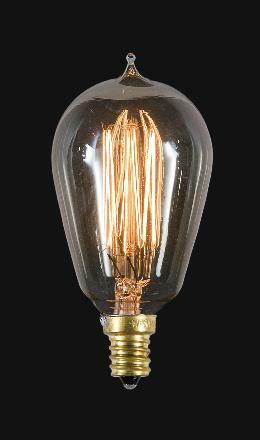 ST15, 25W/120V, Candelabra Base (E12) antique style light bulb with "Squirrel Cage" filament, and clear non-tinted glass. 3 3/4" ht. Reeded Break or Small Font, 3 1/8" dia.